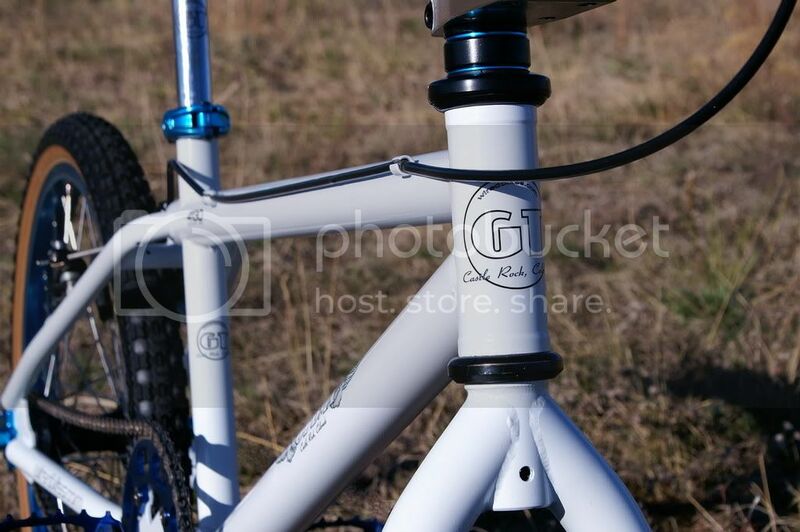 I've had a couple GT Interceptors hanging for a while and finally got around to restoring one. 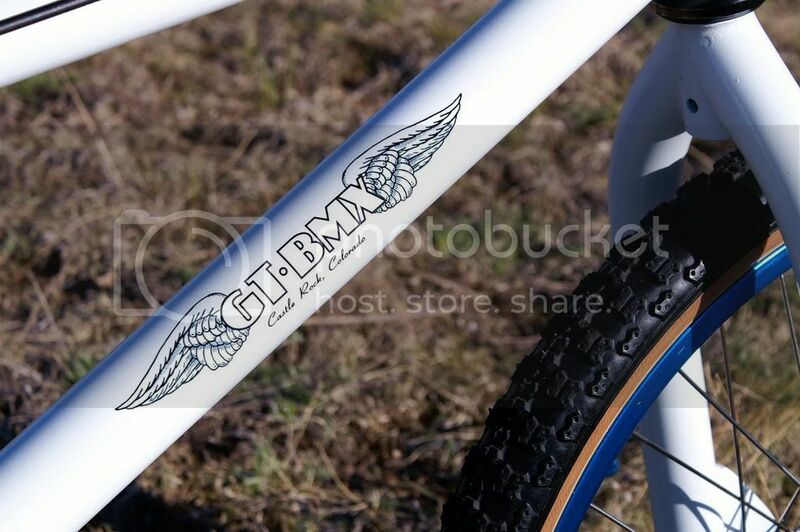 I had been wanting to create some custom GT wing decals with a little of my own style while copying the original just a bit. 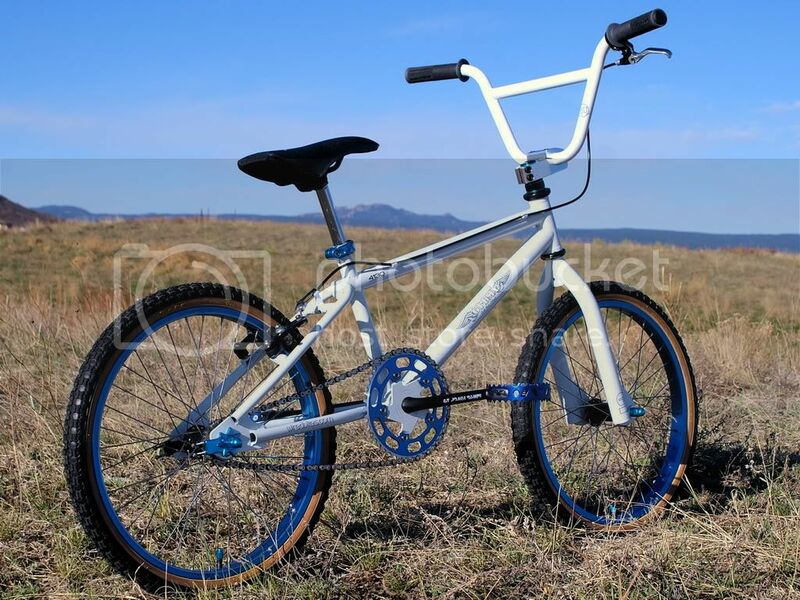 This was a pretty beat up, black bike when I started so I flipped colors and went white. 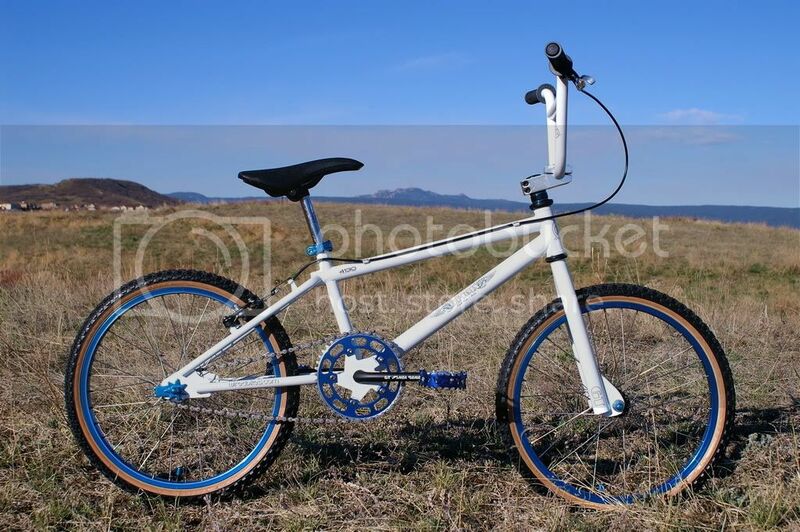 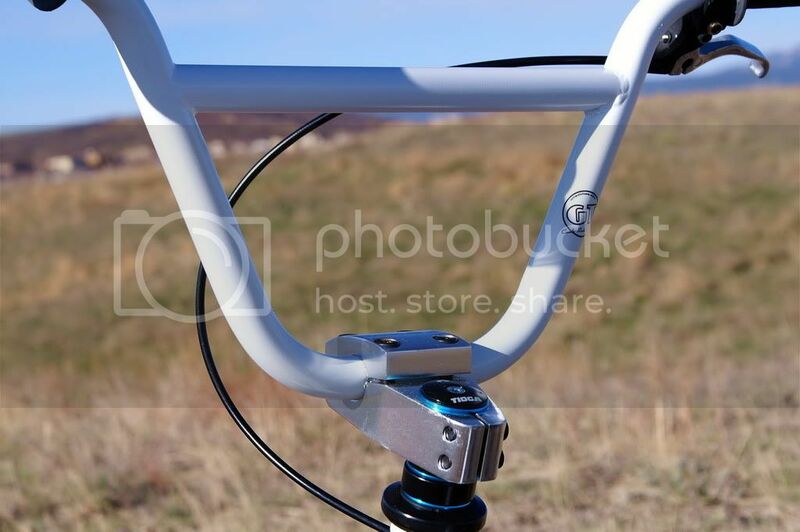 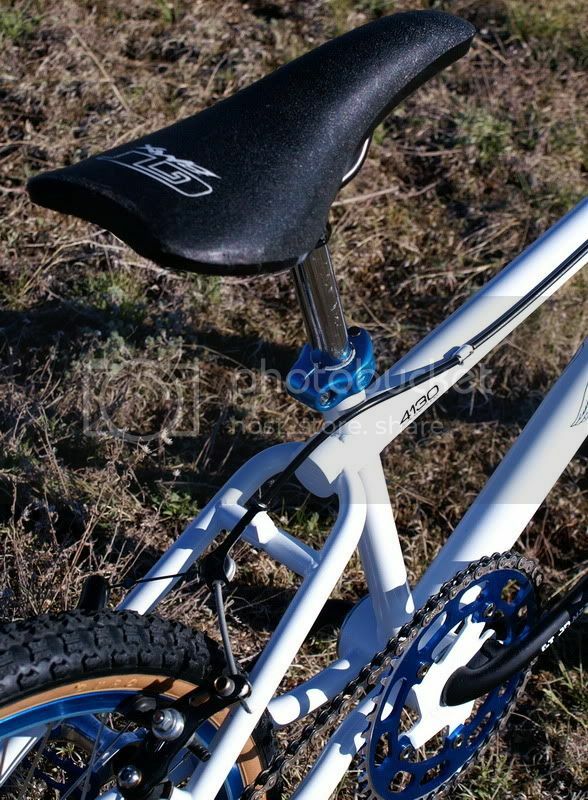 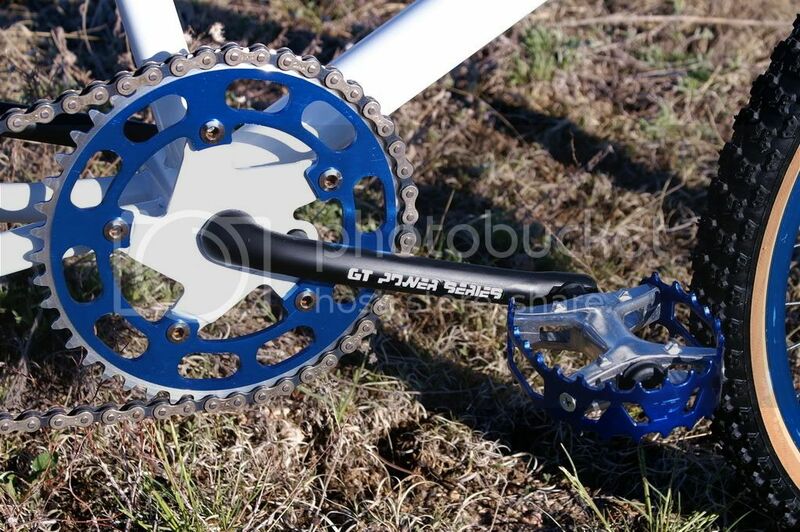 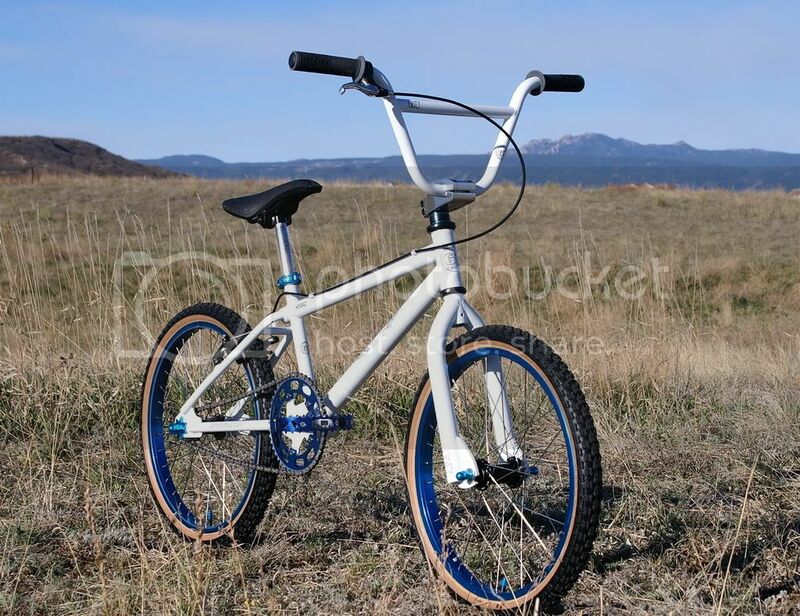 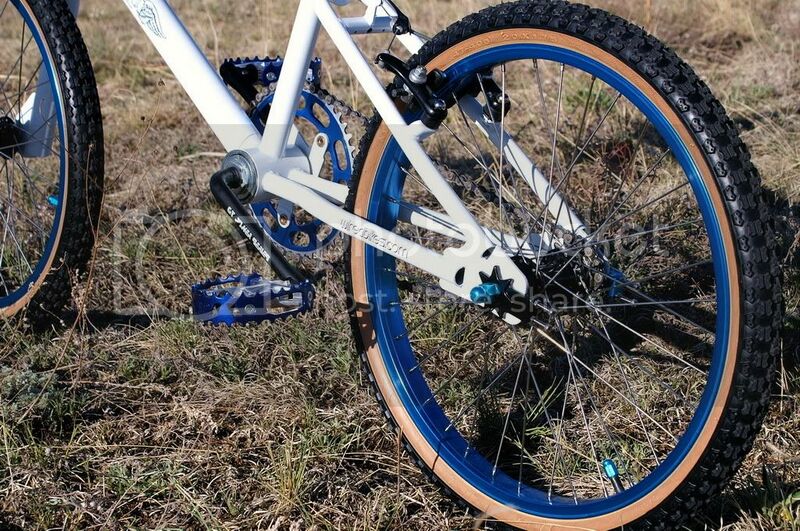 Most of the blue components came from porkchopbmx.com and really help the white frame, fork and bars pop. 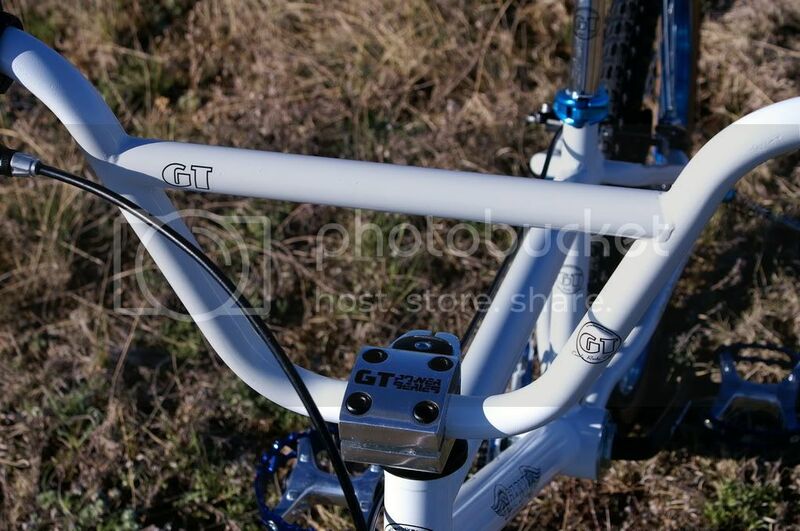 This is one light and fast racer.